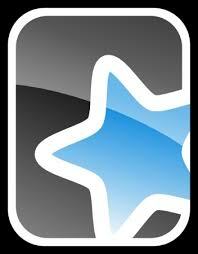 Anki is a flashcard app for iOS (iPhone + iPad), Mac OSX, Windows, Windows Phone, Android & Kindle. Personalised multimedia flashcards with sound, text and images can be created, or the ready-made flashcards can be used to test and learn vocabulary. Once the flashcards are uploaded, you can practice your vocabulary and monitor your progress. Anki is particularly effective for visual learners and makes remembering things fun and easy while on the move or at home. This idea is adapted from the http://aclil2climb.blogspot.com.es/ blog post about Memrise. We can encourage students to create personalised digital flashcards of new lexis for them to review on their own devices. Get students to find a picture on Google images that is relevant for them to remember the lexis. The image can then be saved on the desktop, copied onto a Word doc and labelled. The same process can be carried out on an iOS or Android platform by taking a screen shot and labelling the picture with an App like Photo Label Free for example (iOS). This may seem like a time consuming process compared to using a notebook to record lexis, but how many lists of words are recorded by students never to be looked at again? This method encourages students to input and store the lexis because it is fun and visual, meaning there is a greater chance they will take the time to review the word on their phones or other devices, and be able to retrieve it.